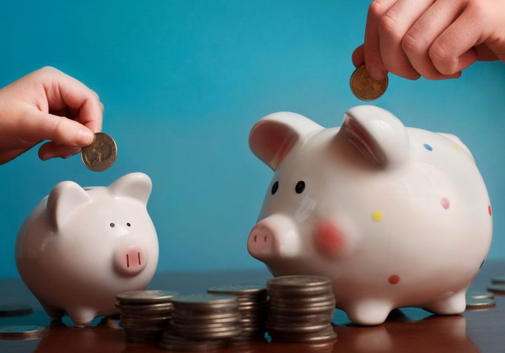 Almost everyone wants to be able to save more money. Some of you may just want to start saving money! Most investors and would be savers have read all the articles that claim saving money is simply a matter of math. Just save $200 a month, every month and then after 100 years this will lead to a fortune. Unfortunately, most investors cannot wait this long. Saving money is not simply a matter of math. Many investors make all kinds of excuses. People like to think that they will be able to save money as soon as something else happens. This could be waiting until the next raise comes along at work. It could be waiting until the car (or house, boat, business, etc…) is paid off. Forget about all of these. They are just simply excuses. People will not start to suddenly save money once the kids are grown or some other event occurs. This is like waiting to win the lottery or to be hit by lightning. In order to successfully save, people need to focus on facts and stop making excuses. People will start to save money, and save effectively, once it becomes an emotional priority. The goal of saving needs to be a higher priority than buying that new car or boat. Of course, this does not mean that investors should have to cut back in all other areas of life. There is nothing worse than being forced to live like a pauper today, just on the promise of living like a prince in a few years. However, the act of saving itself and the nest egg it creates can become one of those possessions you value most. Many people will also think that it is very difficult to make saving money a priority. There are so many other things which need to be taken care of first. This may be true, but if priorities are a funny thing. If a family member needed an expensive operation, and this must be performed within the next 10 months, most people would find that they could save the needed money. It is called clarity. Sometimes a moment like this can help everything come into better focus. The single goal of saving that family member has now become more important than having that late night pizza or the new toy which may have been in the works. A great way to get some clarity is through some healthy anger or fear. Being afraid of what the future will be like if there are no savings can be a highly motivating factor. A great number of investors and people today may think that they do not make enough money to start saving. This is simply untrue. Obviously, a family with a higher income will likely be able to re-prioritize things a little easier, but each person and each family can start somewhere. Once saving is a priority, starting with as little as $50 a month can be helpful. In some cases, finding this money to save will involve cutting back in other areas. A family that goes out to eat twice a week may consider cutting this to only once a week. This could be a nice savings right there. The key to this “scrimping” is to actually take the saved money and put it in a separate account. The next key is not to touch that money, except to possibly move it somewhere that will earn a better rate. When a person is beginning a savings plan, it is always an excellent idea to pay it first. Each week or month, the first check written should go straight into the savings account. Better yet, set it up as an automatic draft. If there is extra money found in a particular month, send that along as well. Most people will find that it is much easier to save when done in this manner. If this account is funded last, it will be considerably more difficult to ever save anything. By placing this at the top of the expense list it is done automatically and painlessly. The main thing to remember is that saving needs to be as big a goal as doing a great job at work, or taking care of all the monthly expenses. Seeing a savings account as the first item on a list of things which need to be paid weekly and/or monthly will help to make it a priority. Savings will start and grow ONLY when it becomes a priority.